I’m asked all the time so here are my best tips on how to make money travel blogging. Blogging funds our life, 2 adults, 2 kids now almost grown, full time travel. Travel blogging and running this travel blog allowed us to see the world. We’re 100% legitimate and the money comes from the blog, not selling courses. We genuinely love travel and sharing the world with our readers, we’re going to continue to be travel bloggers not course sellers. So here are some pointers and tips to help you make an income from your blog or website. These tips aren’t in any particular order and not in huge detail because I’m not writing a book here, but I hope you find these useful. Our story is simple, we travelled for 1 year on savings, tasted freedom and didn’t want to go home, so we worked like crazy to make our lifestyle financially sustainable. It was a lot of work, but we got there. Throughout this period we kept travelling, with some longer stays ( what they call slow travel ) to focus on work, kids and sports. My husband is a competing Ironman triathlete, our children are home educated and wonderful teenagers now. We’ve been to every continent bar Antarctica, spent months living in Vietnam, Romania, England, Wales, Australia, we’ve been to Everest Base Camp and to Tibet and it has all been wonderful. But this website is the heart of our mission. Our travels are often planned with the information we need to get on here in mind and all our spare time we sank into creating this travel resource, for you to use. Welcome to our site, it’s the 5 th member of the family. We were on the road for almost 6 years without once going “home”. We will continue to travel and will eventually, we hope, buy homes in the UK, Romania and Australia. But this post is about the travel blog. You’ll find more on how to make money travel blogging in the blogging section of this website. Please remember that no two bloggers make a living in the same way, there are many ways. I just know that my way works. We wouldn’t swap our lifestyle for the world. We love travel, we love writing about travel, we will continue to be travel bloggers. We also like to help you get started, so useful information on the process of starting a blog or website and making an income that way, is available for free on our site. If you need more help I can also offer coaching, see this post and shoot me an email. I am so sick of reading that making money from a travel blog is hard, it’s not, it’s actually pretty easy if you know what you’re doing. The problem is, most people don’t have a clue how it’s done and repeatedly bash their heads against a brick wall before giving up in a huff. It’s not about writing, it’s not about stories, it’s about understanding the internet and how it works. I’m not saying it doesn’t take a lot of work, you will put hours and hours into creating your income, it’s just not difficult and anyone can do it if they have the dedication and the time. I have been known to say that once you know how it’s done you can basically print your own money. I stand by that , but you will need to put a lot of time and effort in. This is no get rich quick scheme. I hate fakes and I’m sure you do too. Don’t be one. They’re too easy to spot and you’ll turn people off. You have to love this game, it’s fun, it’s exciting and it’s addictive. If you find it a chore you’ll never put the hours in. If you’re going to write a complete guide to a destination then you’d better have spent several months there. Nothing is worse than bloggers who don’t know their topic. People do write posts about places they’ve never been, it’s common and it’s easy, but who wants to read that? Plan your travels to give you the knowledge you need to write your posts. Specialise in a particular place, know your facts and be a reliable source of information. Write all the posts anybody could ever need on that destination, be a respected source. Specialising like this is good for your site’s SEO and Google ranking, not just good for your readers. People talk about ” their audience” this whole concept is rubbish. Through the power of the internet and good SEO you can reach anyone, anywhere. Your Facebook audience or your subscriber list are another matter, but Google search allows you to reach anyone, anywhere. If you do it right. A 40 year old single male Himalayan trekker is as likely to visit my site as a young mum wanting to go on holiday in Thailand with her kids. Write the posts, be the authority, get the authority and they will come. So many people don’t get this. Obviously Google likes you to be an expert on a particular topic, but if that topic is say, Sri Lanka, you can reach anybody with an interest in that destination. I’d recommend focusing on one topic, covering it fully ( multiple keywords, multiple posts), and then moving on to another to cover in depth. Add more from time to time to that original “basket” of content and keep updating, but be a serial specialist not a forever generalist. 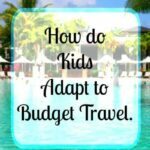 If you don’t have kids of course you shouldn’t be writing about family travel ( although obviously, you could take guest posts from parent bloggers) but there’s nothing to stop you targeting any audience you like. Of course if you want to be niche you can be, no problem at all, but remember you’re limiting your audience. Super niche sites often gain recognition and work with brands within that narrow sector when they are still relatively small, you can do it that way but it’s not my way. I make my money from the website not through brand promotions. Niche sales sites ( but that’s not what I’m talking about here) were hit by the last Google update, I don’t have data, but that was partly its intent. Don’t put all your eggs in one basket, create multiple income streams and get them set up as early as possible. Install Adsense, join all the affiliate schemes you need, get some Amazon sales pages set up, get stuck in to earning, early! 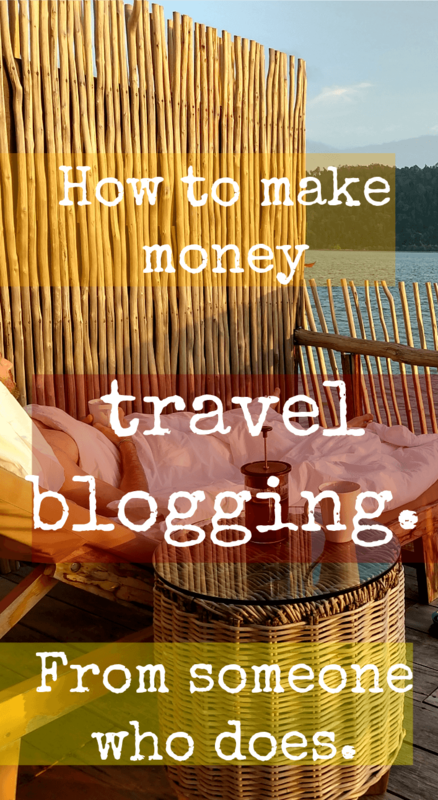 How you make money travel blogging largely depends on how you want to do it. I rely on advertising and affiliate sales, other travel bloggers prefer to be paid to promote destinations, hotels, attractions and so on. Some bloggers sell articles to magazines or other publications and some sell e-books and courses. The choice is yours but I prefer to earn the money to pay for the travel I want to do. I find sponsored stays too much work and too much hassle. I love my freedom, so I conjure my income out of pixels rather than by actually working for somebody else. My income is what people call ” passive”. Of course it’s not truly passive, websites need maintenance, updating and content adding frequently, but at least while we’re travelling I’m able to relax and not be on duty at all, sometimes. Which Affiliate Schemes Make Money? In no particular order, these are some of the affiliate schemes that make us money. Amazon ( books, travel gear and more), Booking.com, Hotels Combined, Travel Insurance, Agoda, 12Go Asia, Tattoo Package, Get Your Guide, Hosting, Longtail Pro and/ or Keysearch, Board Booster and/or Tailwind, Skyscanner, there are more, these are the ones I can think of right now. If you don’t recommend or use a product genuinely, don’t try to sell it. You will not sell any of these things without understanding SEO and getting a targeted audience to your site. Search Engine Optimisation (SEO) and Keyword Research (KWR) are probably the best ways to get eyes and credit cards onto your website. Social media and email subscriber lists work too, but your Google search traffic is vital and you’ll only get that with good SEO, good KWR and targetting. Don’t write a post until you understand the purpose of that post in terms of either pleasing and attracting subscribers ( getting people reading), giving solid information to build your reputation and authority, making money or attracting people ready to spend. There is a post on SEO for beginners here. Recently there has been a huge shift in how Google search results work. Google Rank Brain has blown it all out of the water ( this is the best in-depth post I’ve seen on this). Don’t focus on back links, DA and meta descriptions, it’s all about quality content and user satisfaction now. Rank brain has been great for me, it’s more human, write for humans. Your site needs to be fast, mobile friendly and have great SEO. This tends to come with good hosting, a premium theme and good ( often paid) plugins and tools. You have to spend a little money to make more money. Don’t worry about looks, just make your site fast, efficient and clear. People want information and they want to find it quickly and easily. I would highly recommend investing in good hosting and a good, fast, secure theme. Of course it needs to be mobile responsive and you DO need an SSL certificate. If you can’t tick all of these boxes you are sabotaging your own Google ranking. How to make money from affiliate schemes? It’s 99% pointless to put some random affiliate links into posts or into your sidebar. The people reading those posts aren’t looking to buy whatever you want them to buy. The skill lies in getting the people on the point of purchasing onto your pages. Get them there via Google search ( SEO and KWR) or from social media. Amazon knows how to get people to buy. If you can get your reader to Amazon, half the battle is fought and won. We have a post on making Amazon sales pages here. Because Amazon drops a cookie, anything your reader buys from Amazon for several days afterwards, will give you commission. There is a skill to making as much money as possible from Google Adsense and it involves keeping eyes on pages longer and putting ads where eyes linger. I had Adsense performing well. I’m with Mediavine now, which gives me an insanely good income, but you can’t join a premium advertising agency like that until you’ve got good traffic. Beginners have to start with Adsense. Keep people looking at your Adsense ads longer and draw their eyes and their time, to the places the ads are. Pictures, captions, videos, charts, tables, text boxes, anything mixed media that draws attention will keep eyes on the spot. Work those features. Keep content long to allow more ads to display. A super handy tip is to increase your font size. The longer the post, the more ads display. Know that “above the fold” is premium ad space. It’s not rocket science. Aim to get your traffic up above 25K Uniques per month so that you can join Mediavine fast. It’s an income game changer, I jumped from around $600 per month to $1500 within weeks of changing. Of course, keeping eyes on pages longer isn’t just good for your ad revenue, it’s also good for your Google ranking and your user satisfaction. If your readers are staying on page because of the useful and engaging content you are providing, everyone is happy. Grow your DA through legitimate link building, create quality, long, information packed content, keep your readers on each page as long as possible, keep them on your site as long as possible, get plenty of social shares and get your on-site and on-page SEO right. All these things will tell Google that your site is one they should be showing high in their search results. Also, don’t target keywords you don’t have a chance of ranking for, try to find something a little obscure when you’re just starting out. Remember that your DA is NOT in any way related to how highly Google will rank you, Google does not even consider your DA. DA seemed to be the holy grail of SEO a couple of years ago but Google is way too smart for the fake backlink merchants now. You can easily beat somebody with a higher DA than you if your content is better. DA is purely a measure of how many backlinks you have, it’s an indicator, but not something to pay much attention to. Keep an eye on your rankings in Search Console instead, if you’re climbing, all is well. Do NOT get involved in spammy sharing groups and link exchanges. It will come back to bite you in the bum, as they say. Be genuine, be real, don’t try and cheat the system. If your content doesn’t satisfy users, it will never perform well under Google Rank Brain. Your old content will decrease your site’s overall SERP rankings if it’s bad. Get it fixed, if it’s really bad and beyond redemption, remove it and re-purpose it under a better url. This is a last resort move but some of my old stuff was useless and embarrassing, it had to go. Don’t worry about 404s and sometimes, only sometimes, redirect. But how to make money travel blogging? What are these income streams exactly? More on that in this post on how to start a blog and make money, and this one on affiliate sales. That’s it for now, a quick 10 minute response because somebody asked the question. I’ll add more tips on making money blogging as I think of them this post is genuine and, I hope, helpful . As I said before we DO offer coaching and support in a private, personal group. If you need more help visit this post and shoot me an e mail. There is a formula, blogging is a science, not an art. I hope I can help you with that. Leave me a comment if you have questions. Great piece of work I must say. . . Thank you for this post. 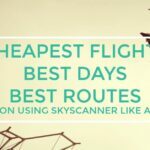 True to your SEO ninja-ness, this was one of the first posts I found when I searched how to make money as a travel blogger. I’m just now coming to terms with my high levels of wanderlust. I want to travel, but I’m also not wealthy. Nice to know it is possible. I actually don’t SEO ninja any of the travel blogging related stuff. I just create this stuff for the people I help, they ask questions, I answer those Qs. So good it’s rising natuarally, glad you found it. Best of luck with it Tracy. We were also not wealthy. We fixed it. Brilliant post, thank you for all the useful info. I know it will be difficult for you to answer this but I’d like to get opinion on a plan I have for my travel blog. Writing indepth post on cities (Asian cities to start), best streetfood and the vendors, markets, parks, unknown sights and activities, best waterfalls on specific islands, and every post will accompanied with awesome 4k videos. If I work really really really hard at it, could that be a recipe for success? Sure. But where will these 4K videos be? As you can see the videos on our site are super compressed. File size / site speed means everything has to be reduced. I have just started with my travel blog… and I need an review or a feedback for the same before I post more content. It would be great if you could just take a look at my website and give a small feedback,.. Sorry, I just don’t have the time Vish. If you understand SEO and write for SEO, all will be fine. This is an awesome post, especially for newbie bloggers like me! 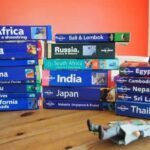 Can you please share 1 tip for local travel/ expat bloggers? 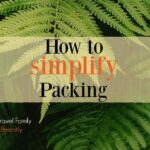 Local, travel, expat, it makes no difference really, the basic principals are the same. I’m an expat, so I touch on that sometimes. We do local travel in that we were based in London, Romania, Queensland. Making stuff all gel together can be hard sometimes but the bigger your site becomes the easier it gets. Get your tags and categories sensibly organised is a very big tip. At one point I had over 800 tags, stupid ones, I’m slowly getting them structured properly, I’m down to 300 now and my tag and category pages are ranking and getting traffic. Don’t go above a manageable number! I’m aiming for 20 max. Thanks for this article. It is a great summary of where to focus my energy in order to monetise.. 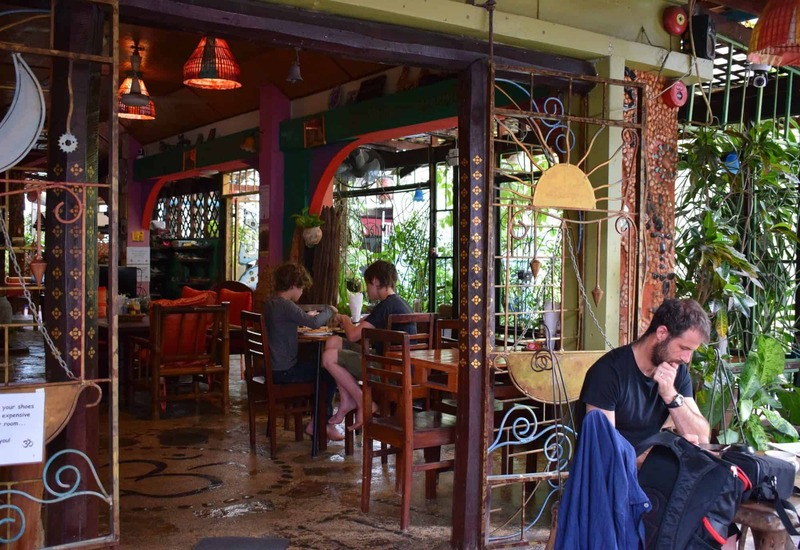 It is easy to get disheartened by the number of travel blogs out there. I’m off to re-write some old content! I really love the way you approach this topic, especially because your blog is not about how people can make money from a blog, but your article is still very instructive for anybody who is trying to make a living from a blog. Thank you! So many posts exist out there “claiming” to offer insight into this topic but they end up just trying to sell you something. I really appreciate your time and effort in this post as well as your whole site. Well done and keep inspiring! re: “trying to sell you something” – if someone has put a massive amount of time, energy/effort, and money into acquiring knowledge and skill, why should they not be paid for teaching others those skills? Why does anyone expect to be taught for free without giving anything of value (i.e. money) to the teacher in return? Because some of us, like me, are happy to help and point people in the right direction. This way people keep their money in their pockets and can learn anything they like for free. That is empowerment. That is smashing the system that keeps people down. It’s doing away with the idea that knowledge is poured into empty heads by a ” teacher”. It’s showing people that anything is possible. Most course sellers sell courses to line their pockets. Setting prices relative to what they want to earn, not what they are offerring. If they need to sell courses they generally aren’t making enough money at what they claim to be good at, so… why teach people to do that thing that doesn’t make them enough money? Human beings do not need a teacher, anyone can learn what they want from the internet or books . Some, still, feel they do need to part with cash to ever be good enough, or educated enough. It’s a shame, but they do. Unfortunately the people buying courses are often those least able to afford it and sadly, simultaneousy, those least likely to follow through with what they learn and therefore waste their money while making somebody else richer. I know you didn’t ask me. I don’t even know what Denea said, but that, to me, is what’s wrong with it. A lot is wrong with it. It’s corrupt. Thanks for this blog! I’m really excited about starting a blog with my husband to try to travel more as a family.. Do you have any Pinterest tips? I’ve heard that’s a great way to bring in traffic. Have you ever worked with or know someone who has used AdThrive? Yes there is a Pinterest post in the blogging section. I used to be a Pinterest ninja, up to 1000 clicks per day from there, but now I get almost nothing maybe 200 clicks per day. Pinterest has just totally stopped working for me as it used to. There is also a post on that in this section. But that said, it’s still my biggest source of social media traffic. I’m with Mediavine and I’m very happy with that, I think Adthrive is similar, don’t know if one or the other is definitively better or if they have different traffic thresholds before you can join. Great post! How do you suggest getting better at SEO and keyword research to attract and please readers and subscribers?